Cadillac’s CUE system already offers a suite of navigation and communication tools. Talk about a smart car. Coming soon to a garage near you is a car that will download your work schedule and trigger your alarm clock. By the time you get behind the wheel, the car will have analyzed the morning’s traffic and weather and calculated the best route to get you to the office on time. You won’t even have to touch the radio - it’s already playing the same station you were listening to in the house. And as you pull away, it will shut the garage door and turn off the lights. Those capabilities are built into Ford Motor Co.’s Internet-connected Evos, a so-called concept car making its North American debut at this year’s International Consumer Electronics Show, the giant annual trade event that opens today in Las Vegas. “By 2014, you’re going to see nearly every auto manufacturer have a connected vehicle option,’’ said Leo McCloskey, vice president of marketing at Airbiquity Inc., a Seattle firm that manages wireless communications for many models of connected cars. About 40 percent of the cars sold in the United States last year can already connect to wireless data networks, allowing drivers to listen to Internet radio stations or get traffic reports; the next step will be cars that constantly monitor online data. 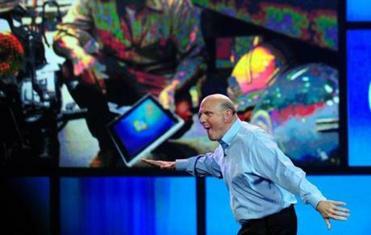 The company said it plans to pour a lot of money and effort into turning Ultrabooks into the next big computing phenomenon. Alan Taub, vice president of global research and development for General Motors Corp., said his company’s goal is “360-degree situational awareness’’ - a car that can “see’’ and respond to its environment. Too much technology, however, might overwhelm drivers, posing new dangers. “The human mind is an incredible computer, but it’s limited,’’ said Bryan Reimer, associate director of the New England University Transportation Center at the Massachusetts Institute of Technology, which studies, among other things, the impact of vehicle technologies on driver behavior. Even small demands on the brain can affect the way you drive, Reimer said. Reimer is concerned about the prospect of grappling with a stream of tweets and Facebook updates on a car’s video screen, while also negotiating the demands of rush-hour traffic and perhaps cellphone conversations. But Jon Bucci, vice president of the advanced technology department at Toyota Motor Sales USA, said connected cars are being designed to filter out such distractions with software that blocks certain online services while the car is in motion. “We can try to create a curated environment,’’ Bucci said. For instance, a car’s dashboard screen would be programmed to block streaming videos while in motion so a driver won’t be tempted to sneak a peek at a YouTube video. “Technology can solve the problem that technology has created,’’ said Mark C. Boyadjis, a senior analyst for research firm IHS iSuppli in Minneapolis. The Ford Evos, for instance, will have a heart rate monitor that can detect stress in the driver. When that happens, the vehicle’s digital instrument cluster will black out all the gauges that are not related directly to the driving at hand. Still, cars won’t get really smart or fully connected until they start talking to each other. That idea, still in the experimental stage, would use short-range radios on a special frequency designated by the federal government, and standardize a digital language that would be spoken by all cars. Each car would broadcast its exact location, speed, and direction of travel, and would notify nearby cars of any changes. If a car broke down and stopped, the radars on nearby vehicles could detect the problem and warn drivers to slow down. The cars would also contact police to send a squad car and a wrecker, and tell the traffic control network to generate an alternate route map to avert a traffic jam. One reason for the rush toward increasingly connected cars: Millions of drivers have come to expect constant Internet access through their smartphones. “The user does not want to give up their digital lifestyle when they get in the car,’’ said Boyadjis. IHS iSuppli estimates Americans bought 12.5 million cars last year, and that nearly 5 million are capable of connecting to wireless data networks. Perhaps the first connected car system was OnStar, introduced by General Motors 15 years ago. Through a cellular telephone system built into the vehicle, the system connected drivers to human operators for navigation help and roadside assistance. Since then, other companies have adopted similar technology. Some, like Mercedes-Benz, have followed OnStar’s lead and built cellular communication into the car. Others, like the popular Sync system from Ford, rely on the driver to attach his personal cellphone to the car’s computer system. At first, OnStar was available only on certain high-priced Cadillac models. The added cost “was easier to absorb at the luxury level,’’ said IHS Global analyst Phil Magney. But OnStar is now available on low-cost cars, too. Like computers and smartphones, the system became cheaper as it was more widely adopted, Magney said. Now, systems for connected cars are being designed to be affordable. “Every major manufacturer is trying to develop a Sync-like system that allows you to connect mobile devices to the car’’ and is low-cost, Magney added. Ford is only one of the automakers showing connected car technology at the Las Vegas electronics show, which is where manufacturers showcase the newest computer, television, and smartphone technologies. 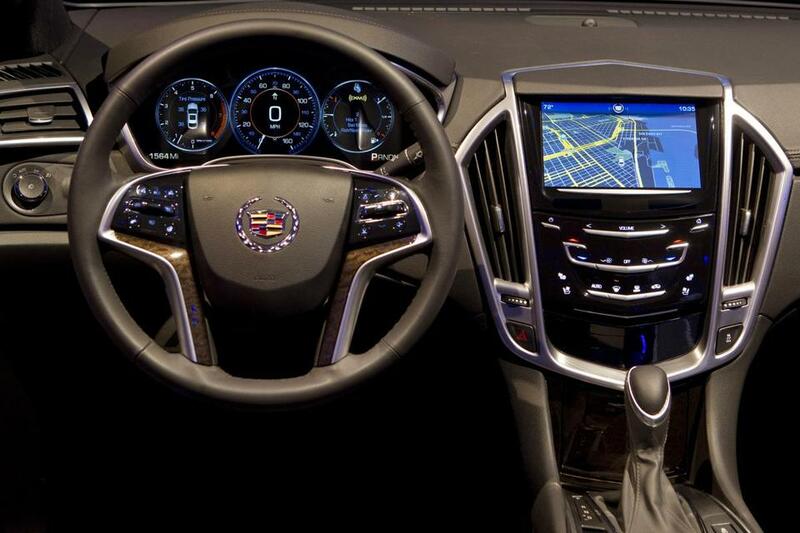 Cadillac is featuring its CUE system, which has a smartphone-like dashboard touchscreen that can be customized. Kia, Audi, and Mercedes are also promising to show connected car systems. The ultimate smart car, though, would be one that drives itself, a goal that gets closer to being realized with each new innovation in automotive intelligence. When cars can observe their surroundings and talk to each other, “the autonomous vehicle is probably not too far away,’’ Bucci said. GM plans to introduce self-driving cars in the next 10 years, Taub said.